I mean, this was obvious. Crown Princess Victoria‘s H&M gown from the Nobel Ceremony is clearly her best look from this entire year. I’m in love with this gown. Princess Madeleine wore a lot of repeated gowns this year which looked lovely, but her one big new gown was a huge miss for me. So I went in a different way this year for my favorite from Madeleine, picking this Somerset by Alice Temperley “Blue Leopard Print Dress” she wore on June 5 in Hälsingland. I typically don’t like prints, but I think Maddie looks pretty in this one. Like Madeleine, Princess Sofia‘s new gowns this year were mostly misses for me, but she wore a repeated burgundy Gucci dress to the royal wedding dress exhibit opening on October 17 which I’ve liked since the first time she wore it, so it gets my pick as favorite this year. My favorite from Camilla, Duchess of Cornwall was this red lace gown she wore to the Royal Variety Performance on December 6. I know many people thought it was too much red or too much lace, but I think Camilla is old enough to pull off a full red lace gown like this. Sophie, Countess of Wessex wore these new bespoke separates by Suzannah and a new bespoke hat by Jane Taylor to Day 3 of Royal Ascot. For some reason I like the clam ears hat on Sophie. Princess Beatrice‘s blue and orange combination from Trooping the Color was my favorite from her this year. Beatrice takes a lot of fashion risks which aren’t really to my taste, but I this one is nice. My favorite from Princess Eugenie this year was definitely this red Eponine London dress she wore to the Service of Thanksgiving for HM’s 90th birthday. She looks wonderful. Crown Princess Mary wore a black and white silk floral dress from Max Mara‘s 2015 collection with a hat from Susanne Juul for Prince Oscar’s Christening. It was my favorite look from that event, and my favorite look from Mary this year. Queen Letizia wore this gorgeous green Felipe Varela dress while on a State Visit to Portugal at the end of November. Even though it’s a repeat from 2013, I just love it paired with green suede pumps and Queen Sofia‘s emerald earrings. Queen Mathilde rarely wows me, but while on a State Visit to the Netherlands at the end of November she wore this gorgeous red Jan Taminiau gown and the Laurel Wreath Tiara as a necklace. This wowed me. I went out on a limb with my favorite from Queen Maxima this year. She wore some nice things, but nothing really wowed me this year, so I choose this Tom Ford gown she wore on March 11 during a State Visit to France. The gown features a black velvet top, pink and white satin patterned middle, and black fringe bottom. It’s definitely not my style, but I think it looks good on Maxima. Princess Charlene wore a purple Armani Privé gown to the Red Cross Ball on July 23. I think the color looks nice on Charlene, but what puts this over the top for me are the diamond earrings. Everyone’s taste is different when it comes to fashion, but these have been some of my favorites from this year. What are your thoughts? You and I clearly have a similar fashion sense! My favorites of *your* favorites are the garnet dress that Mathilde completely won at, and Viktoria’s H&M gown. I doubt I’d ever have an occasion to wear either but one can dream, right? And I loved both Eugenie’s and Sophie’s looks. I adored this Susannah separates and love that she’s already repeated them! Those two are my favorites of my favorites, too! Crown Princess Victoria‘s H&M gown from the Nobel Ceremony is the best look I’ve seen this year. This is the way a Royal should dress at an event like this. Perfect. She is very regal. I couldn’t stop looking at that dress and I doubt Kate would look so spetacular in that dress like Victoria. I agree with all your other choices KMR. And Maxima is “Maxima” as always with that different hairdo. By the way, Happy New Year to you KMR and everybody on this blog. I love you all, my KMR family. I agree. Victoria’s dress may be an all time favorite for me. That is how royalty should look. 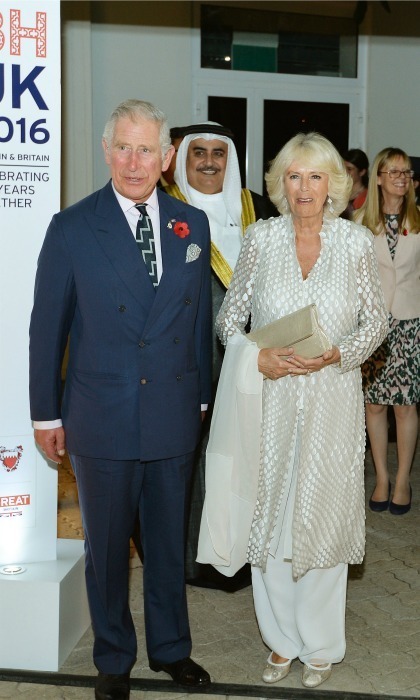 I also love the silvery-white dress Camilla wore to the state opening of Parliment, and repeated a few weeks ago. She too looked very regal. CP Mary in general dresses quite nicely.She’s best dressed royal lady of the year and best dressed Royal man is her husband CP Frederik. My favorite Maxima look was her look at the opening of the Dutch parliament. Queen Letizia is posture queen.The green dress is pretty,but the posture is what I can’t help noticing. CP Victoria looked absolutely fantastic at the Nobel Award Ceremony. 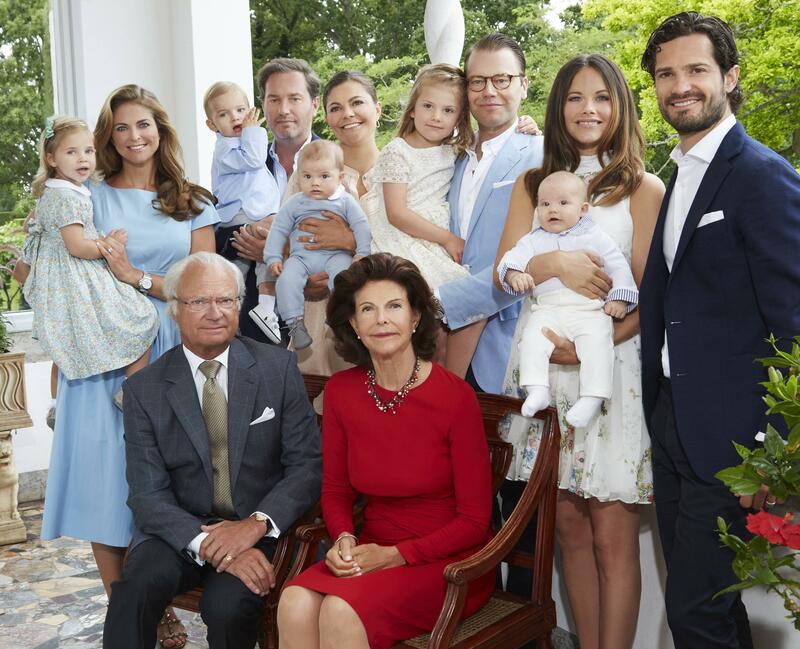 My favorite Princess Madeliene look was at Prince Oscar’s christening. Victoria looked stunning, a true future monarch. As did Charlene – do agree the earrings were abit much. I have to admit I liked Madeleine’s look, it looked fresh & youthful (at first glance I thought it was Kate). And Eugenie definitely went all out to stun, even her fresh face looks more youthful than I’ve seen for a while – perhaps Kate should ask for a few tips! Happy New Year KMR! It is already 2017 here in New Zealand! I hope you and everyone who reads your blog have had a safe and happy New Years Eve too? Now, as for the dresses? My gosh, someone at H&M sure do know how to design an evening gown. And big plus marks to Victoria for supporting a Swedish brand! You may have noticed that I’m a fan of Maddie so she could wear a sack and I’d think she looks great. It could be because her personality always shines through? And I love when the York girls embrace their curves. The red dress looks great on Eugenie! Happy new year New Zealand, hope its a good one! Happy New Year to you, Cathy and Jen! Happy New Year in New Zealand! I forgot that you and many Pacific island nations get there first. Let’s make 2017 awesome! Or at least better than 2016. I am in step with those who think Victoria’s gown is perfect! That gown, Charlene’s and Mathilde’s are my faves of the year. Eugenie did look smashing in that red dress. The more I see and read of her, the more I like her. She and her sister have faced such brutal criticisms in the media and both deserve accolades for remaining so special despite those nasty words. Max rocks, no matter what she wears. She is a trailblazer! And, Camilla in red? Sensational! Mary looked so lovely in the black and white, but I could not take my eyes off her husband! WOW! And, Madeleine is such a beauty. The blue dress looked divine on her. She can teach Kate a thing or two about wearing prints. Or, choosing the right one, I should say! Happy New Year to all and may all your happiest dreams come true. Thanks, KMR, for this post and all your hard work throughout the years. May this New Year bring you all you are looking for! I love the look of Mary, Victoria here! Maxima seems so genuine and loving her job! Happy New Years at everybody!! Look at all those babies!!! Oh, they are so cute!!! King CF’s grumpy face just makes me laugh. Thanks so much for sharing Clem and Happy New Year! Oh, this so nice, thanks for sharing. Beautiful family! I just love the SRF! Love this photo, good find!! Lauri, Maybe it’s not my place but I saw her reply to you in yesterday’s post. She said she didn’t get the red coat. Bah, humbug. No, sadly, but I did get knee-length slipper socks with fox faces on the toe and I bet Charlene hasn’t got those! Oh geez, now I feel horrible :(:( But I bet you rock those socks!!! For my money, Eugenie just looks gorgeous in that red dress. And because the dress and color suit her so well, I’m drawn to her beautiful face. She’s what I think of as the traditional English rose. Charlene wears clothes so well. I think she looks smashing in just about everything. That gown is stunning. I do love Sophie’s Suzannah separates. Love the skirt especially. And even though I have lace fatigue, I love Camilla in the red gown. The Swedes had a lot of win moments. Victoria of courses in the gown at the Nobel Prize ceremony. Madeleine looked very fresh and youthful in the blue. I can see where people say Maxims’s fashion sense is sometimes a bit wild. But again you are drawn to her face because it is so full of intelligence and humor. She is beautiful. Maxima’s personality makes her clothes a winner for me. Not many people other than she could carry off many of her styles. One of my favorites of hers was a casual wear, the green leopard print. Sarah, I always try to remember that Maxima grew up an Argentinean and her style often has a slightly Latin flair. And she has to wear lots of orange, not exactly a shy color. I just love the Swedes’ entire sensibility, whether clothes, decor, the photos they release. When Eugenie gets it right, she is a very beautiful woman. Charlene has such great style. I didn’t think much of her style prior to marriage (I’ll admit that it may be due to me not paying attention), but after marriage she more often than not knocks it out of the park. My absolute favorite of your picks is definitely Sofia in that gorgeous red Gucci dress. I have been lusting after it since I saw it on her. What great fashion. My favorite is Victoria, and Madeleine might convert me to Temperley, which I usually dislike. The queens look wonderful, though Max’s dress looks like big puzzle pieces. Being Max, she carries it off. I think Mathilde is improving a lot this year; her Natan dresses were slightly aging to me. Now she is going glam. I love Eugenie’s look. She has the figure to do justice to the fifties vibe. I hope she continues this trend. And Princess Charlene gets the best dressed award for 2016! Seriously, that dress makes me think of A cool sunset cruise on the Mediterranean, sipping wine while enjoying the twinkling lights of monaco from a far. A girl,can dream, right? Princess Charlene is always dressed perfectly and has impeccable style. I have never seen a misstep,from her. Kmr, I am only posting the above link as a comparison between duchess Kate and princess Charlene. If duchess Kate did 1/2 of things princess Charlene does, it would engender so much more good will towards the monarchy. For Mother’s Day 2016′ princess Charlene visited the maternity ward and talked to,new moms at Monaco’s hospital. Can we imagine Kate ever doing such a thing? If any Kate’s pr people lurk here, please visit the above blog and get some ideas please! Seattle, I just had the time to go through the photos in the link you sent. Thanks for the heads up! Charlene is stunning. She is just very charming and unique. I think she chooses the most glorious designs and she rocks them effortlessly. On a side note, so many of Charlene’s ensembles were stand outs in those photos. That draped red dress is amazing! And, she looks so beautiful in white. The dress with the basket weave pattern was just spectacular, too. And, her visit to the new moms in the hospital on Mother’s Day was just amazing. What a thoughtful and loving thing to do. None of those mothers will ever forget it, I am sure. And, no I cannot see Kate doing something as caring as that. Wow, I am a major Charlene Sugar. Love her! Thank you for the link to those lovely photos, Seattle. Charlene outdoes herself in every picture! I always thought her wedding gown and veil were tops! The major thrust of the wedding coverage was all about how unhappy she looked, though. Unfortunate! I had not seen that lovely picture of Albert and Charlene standing so happily together at the ceremony,. The smile on her face was radiant! I love her choices in attire and think she is truly chic. Yes, some women seem to be born to fashion. Others, not so much. Still, a good stylist can help anyone find looks that are most flattering to them. I am not a fan of Kate’s clothing for the most part. But, if that is what she’s comfortable wearing, so be it. I guess! To me, Charlene, Leti and Maxima usually own their clothing And, Victoria and Madeleine usually win thumpbs up from me, too. Sofia, not so much. Although the red dress in this post is lovely. I thought it didn’t fit her too well, though. Maddie’s gown? To die for! And, Mathilde looked amazing, too! As for the red dress on Eugenie? Just perfect. Suited her beauty and her figure perfectly. Bea, on the other hand? You could see the outline of her undergarments in that dress. The bra, especially. And, what was the bump running across her abdomen? Not good! I so want someone to guide her better, as I think Bea and her sister are very special women. And, back to Charlene for one last minute. That gown looked like a Monet painting in chiffon. Wow! While I agree that Charlene has great style, I feel that she’s been edging toward the severe chic look lately. I’ve noticed in photos over the last year that she doesn’t smile like she used too and that coupled with the sharp edge style of her clothes and the bright red lipstick she’s been favoring, imo is overall to severe a look for her. Again, while the clothes are beautiful and she certainly has the height and figure to pull them off, I’d prefer a softer look for her. Happy New Year, Lauri. It’s nice to hear so many opinions on the various looks of the Royal ladies. I am intrigued by your take on Charlene. To me, red lipstick is glam, not severe. I always like Charlene’s taste in clothing because it is so chic imo. I love, LOVE, the gown that KMR depicted here. Gorgeous! I hope Charlene is happy. She seems to be in a better place now that she is the mother of those darling twins. Maybe, she is shy and hates the cameras around her, or maybe, she is not too happy. Whatever the case, I wish her well. There is something about her that registers favorably with me. Wishing you and everyone a peaceful and very special 2017. Let’s hope that life improves for people worldwide and that common decency rules! On a hairstyle note can I say the swedes always win for best tiara hair but for best every day hair the winner is Letiza. I love how she experiments and she has great updos! I really liked her shorter bob and hope she returns to it, she really has the delicate bone structure to pull it off. Tough decisions! I have a tie for the overall two best-dressed for this year, Madeleine and Camilla. – The outfit worn to Oscar’s christening. I should have disliked the bland color and giant sleeves, but she looked great. 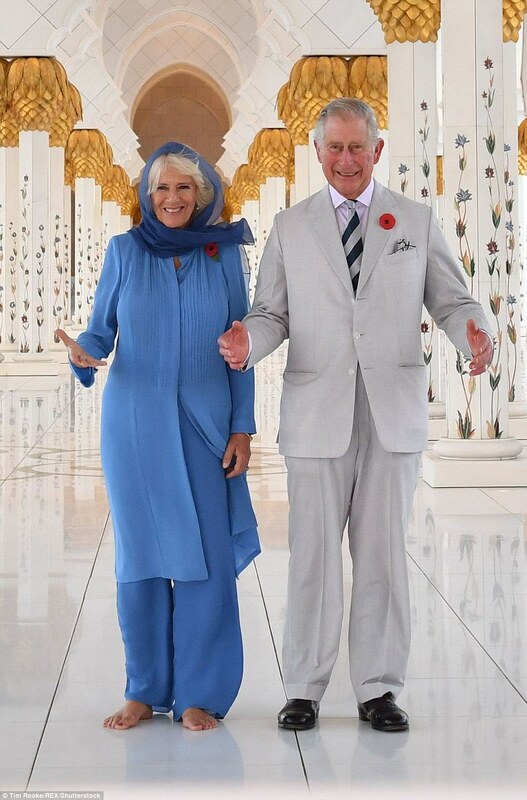 Duchess of Cornwall, wardrobe for their Middle East tour. She looked great in pretty much everything. Yes, I recognize they’re the same style done in different colors and fabrics, but they suit her and were appropriate for the tour. She followed a tricky dress protocol and managed to look stylish at the same time. The bodyguard photo is on the top of my list for best photo. Also, really liked Madeleine’s dress with flutter sleeves for the baptism. I usually don’t like dresses with large sleeves like what Madeleine wore to the christening, but that look was a 10/10 for me. Everything was perfection. Camilla really does do an excellent job finding styles that work for her and mixing them up with great colors and fabrics. Plus the scarves and jewelry she wears really ties her outfits together. I actually really like the pants with the long tunic look on her, she manages to make it look youthful and fresh. KMR, can I just add the Alberta Ferretti gown Eugenie wore for the “Day in a Life” feature in Harper’s Bazaar? Eugenie wore that gown beautifully. Oh my, that gown was to die for!!! Madeleine’s dress was pretty but I wasn’t blown away by it. Sofia’s was tight in the wrong places, but a good design. My favorite Eugenie was actually the black with the asymmetrical hem showing a white skirt underneath. I thought it showed off her figure wonderfully. Bea would have fit in wonderfully with Max in that orange hat. She wears it nicely. I don’t remember seeing Queen Mathilde’s dress but WOW! That is a gorgeous dress! Not too crazy about Max’s dress. I don’t know, just doesn’t do anything for me. Usually I applaud her choices when they are a bit OTT because she wears them well, but this one leaves me scratching my head. Char, this dress is gorgeous as are the earrings, but I probably would’ve gone with the white one she wore recently with the red lipstick. But she pulls off her looks so well, I like nearly everything she wears. I wanted to share this interesting article that shows the work that the royals do can have a real impact. The women of the SRF have tiara hair down to an art form. Nobody does it better. Their hairdressers excel in their craft. Vic and Maddie know what a princess gown is and know how to accessorize it with very few oops moments. They seem to enjoy the events they attend. They shine and put their best foot forward every time. 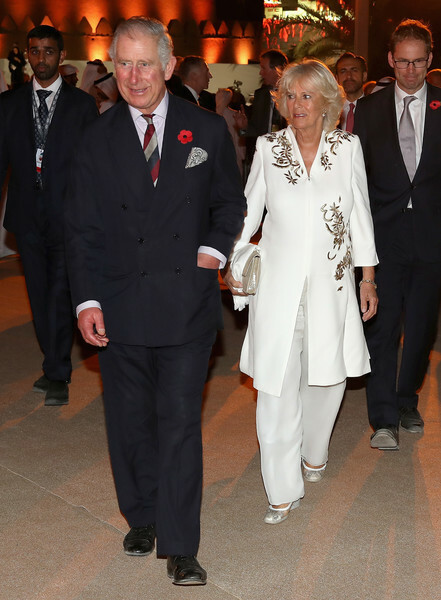 Camilla dresses to her figure and age. She looks comfortable at her engagements and appears to genuinely enjoy connecting with people. That attitude and happy expression makes her look well-dressed and personable every time. From reports of her engagements, her personality conveys a person you would want to talk with. I smile every time I see photos of Letizia holding her husband’s hand. Her husband’s expression seems so happy that she does. It appears to be genuine affection. Charlene is still finding her footing but appears much more confident than 2 years ago. She wears high-fashion forward designs easily. I always look forward to Max’s engagements. Her fashions can be a miss at times — she wears them with such confidence and a happy demeanor. It’s the happy demeanor that I appreciate. She appears to enjoy life and wants to take advantage of every opportunity to do so. Her family seems to share the same attitude. ArtHistorian, New Year is here, complete with gowns and tiaras! I really like Mary’s gold gown but the fuchsia cape doesn’t work for me. This would have been better with the blue velvet cape. I expected her to have this gown altered to add long sleeves, after it was used with short sleeves for a recent portrait. And no Midnight. Sigh. I almost like Marie’s gown, and I rarely like her gowns. I think the sleeves are too tight and the top being partly see-through adds a distracting element. The color, shape, and ruffle train are good overall. Given how awful some of her evening gowns are, this one is more a winner than a loser for her.